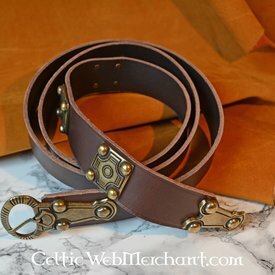 This belt is a replica based on the original excavated from a 5th-6th century Alemanic tumulus in Ballingen (grave nr 2). 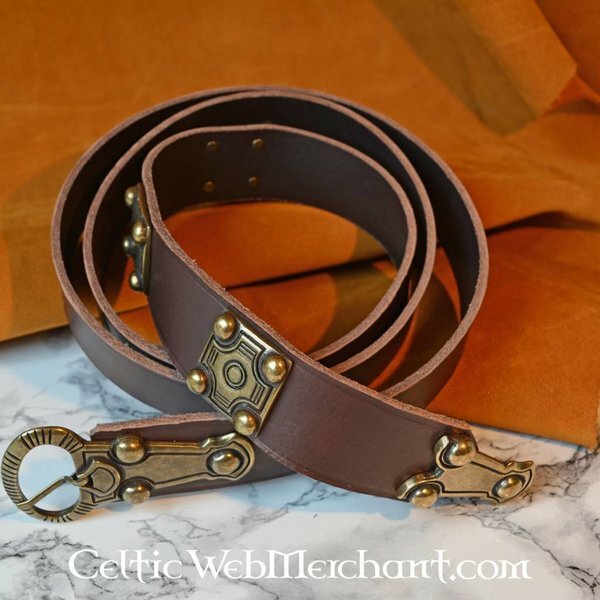 Luxurious belts like this were worn by the Germanic tribes in large quantities. 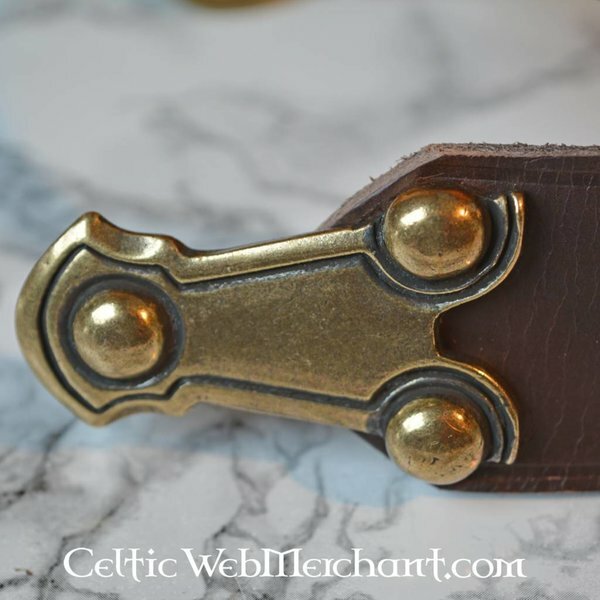 This belt is made of naturally processed brown leather. 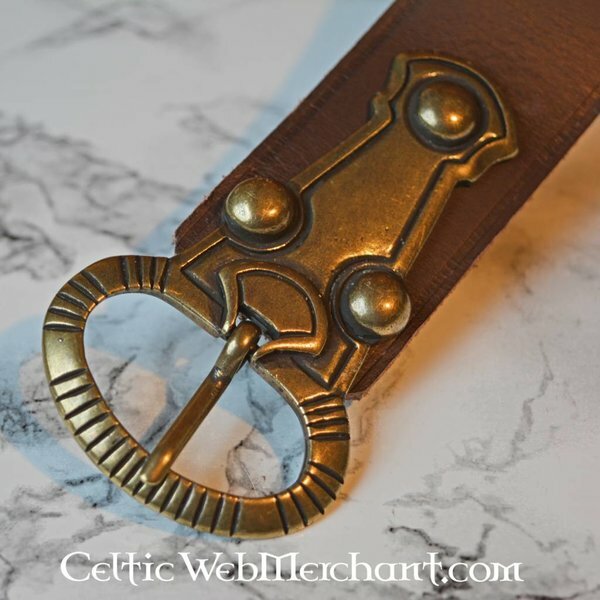 It is 165 cm long and 4 cm wide. 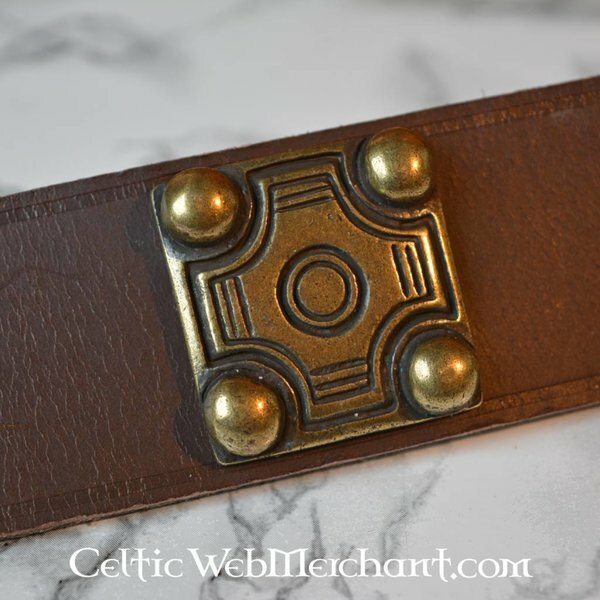 The buckle and the fitting are made of brass.